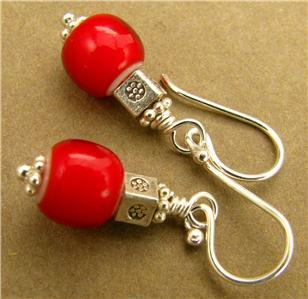 Home › Bright red African glass beads earrings. Fine & Sterling silver. Handmade. 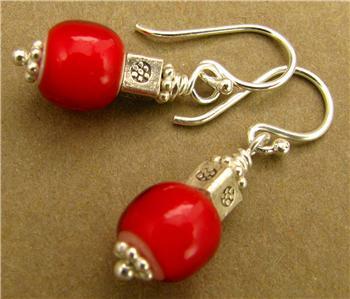 Bright red African glass beads earrings. Fine & Sterling silver. Handmade. 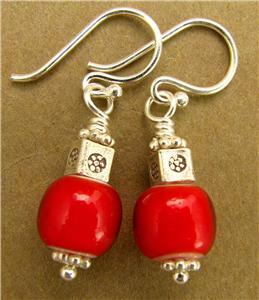 African glass bead earrings. Fine and sterling silver. Designer handmade. 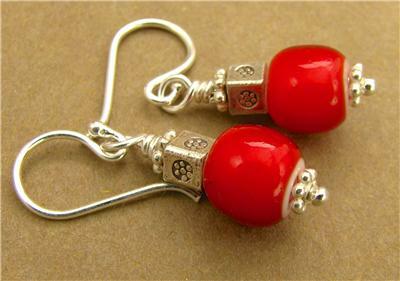 This is a lovely pair of African red glass and silver earrings. The beads are handmade Ghanaian white heart beads. The square bead is extremely pure fine silver. 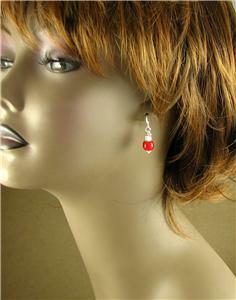 The 2 'flower' beads at the top and bottom, the ear hooks and the silver wire inside are all sterling silver.